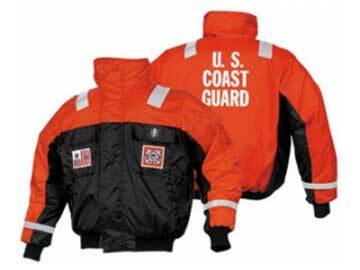 Designed for the US Coast Guard, this inflatable delivers the highest degree of safety, reliability and convenience available today. Combining Mustang Survival's revolutionary LIFT™ inflatable technology and enhanced SAR equipment vest design, the boat operator is provided with combined flotation and equipment carrying carrying capability in one comfortable product. 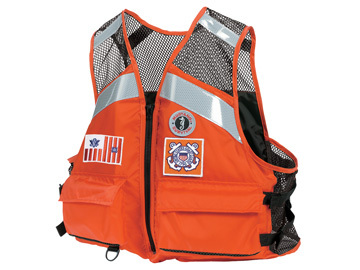 The MD0450 22 United States Coast Guard (USCG) Search and Rescue (SAR) Vest with LIFT™ is an excellent choice for use in all sea states and weather conditions and can be worn over the standard uniform or any of Mustang Survival's exposure protective clothing. 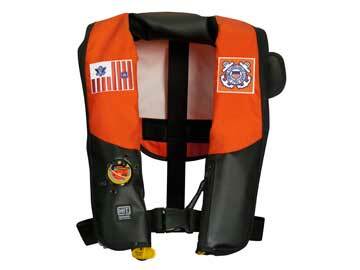 The vest's low profile design allows for easy maneuvering on the deck and provides quick access to carried equipment. 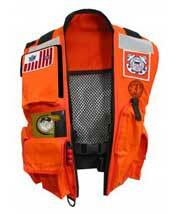 Vest pockets are designed specifically for the equipment required by the Coast Guard's Rescue and Survival Systems Manual. 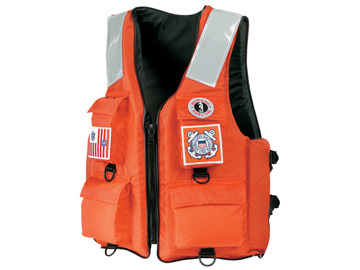 Engineered with the revolutionary LIFT™ PFD design, the MD0450 22 inflatable vest delivers a high level of safety for users in variable wind and wave conditions by elevating the mouth out of the water by up to 9 inches (23cm). Known as freeboard, this increase in elevation has been shown to reduce underwater mouth immersions by 80%, increasing the chance of survival in accidental immersion situations. 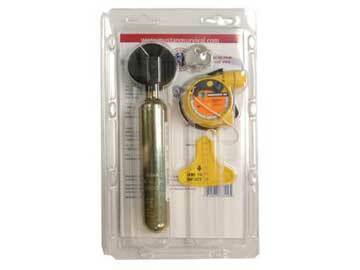 Adult Universal 34" - 52"
The MD0450 22 User Manual is a pdf file. If you are unable to open it you will need to download the latest FREE version of Adobe Acrobat Reader. A National Stock Number is the official label applied to an item of supply that is repeatedly procured, stocked, stored, issued and used throughout the federal supply system.13 digit NSN or NATO Stock Number are recognized by NATO Countries and the US Department of Defense. Hydrostatic pressure is applied to objects submerged in water. The new hydrostatic inflator needs only to be submerged 4 inches (10 cm) for hydrostatic pressure to open a pressure valve which releases a firing mechanism that automatically inflates the PFD. 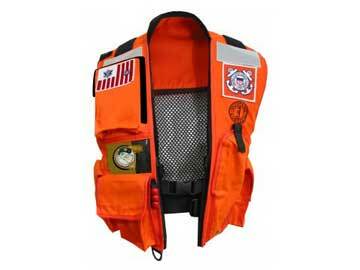 The PFD inflates under hydrostatic pressure and will not inflate prematurely due to rain, humidity or water contact. 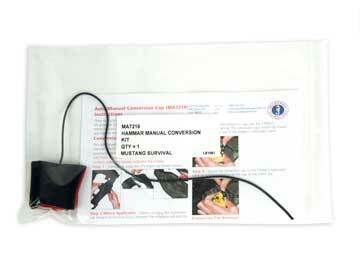 MD5183 PFD can also be inflated manually by pulling the activation cord. No inflator maintenance is required for five years, unless fired. Revolutionary 3D chassis creates a slim profile to enhance mobility, fit securely and reduce neck fatigue also improves the body's aerodynamics to reduce drag at speed. Breathable mesh back panel is made of engineered mesh found in premium running shoes. Sleek inflation handle and body armor tested outer shell fabric. The Elite™ has undergone rigorous testing including wind tunnel, high impact jumps and field testing with anglers including pros Chris Lane, Mike McClelland and Dave Mercer.